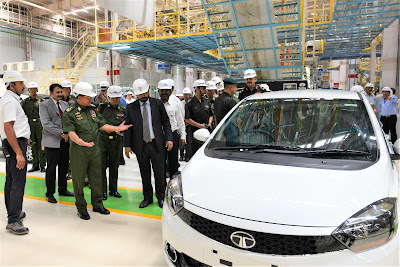 Ahmedabad, July 11, 2017 : A high-level delegation led by Senior General Min Aung Hlaing, Commander-in-Chief Defence Services, Myanmar visited the Tata Motors manufacturing plant at Sanand, Ahmedabad. This visit is part of his 8-day visit to India aimed at strengthening ties between the two nations. Mr. Neeraj Agarwal (Sanand Plant Head, Tata Motors) and Mr. Rudrarup Maitra (Head International Business, Tata Motors) welcomed the Senior General and the delegation. During this visit, Tata Motors showcased it’s product range and technological capabilities to the delegation and gave a tour of the manufacturing plant which is one of the most modern automobile manufacturing facilities in the country. The delegation and especially the Senior General evinced a keen interest in the Tata Motors product range and the technology and process capabilities at Tata Motors. 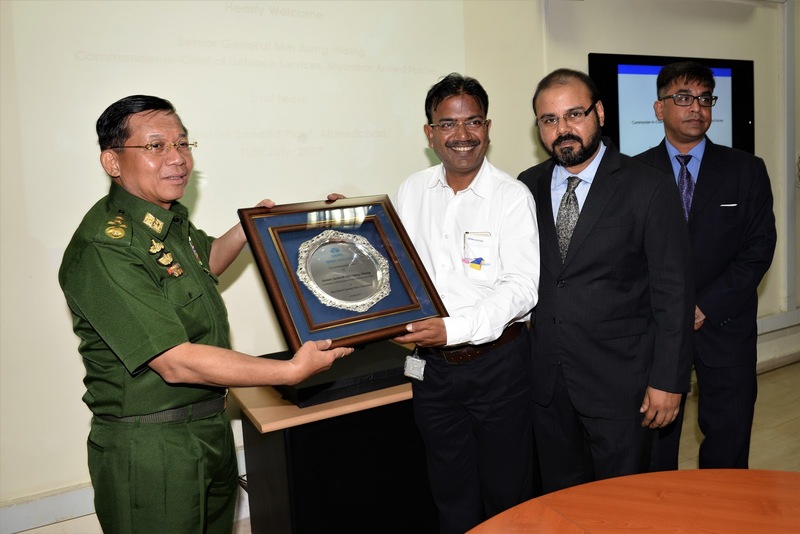 Senior officials from Embassy of Myanmar in New Delhi, Embassy of Indian in Yangon, the Indian Army and the Gujarat government were also part of the visiting delegation. Shri T Rambabu , IDAS, Controller of Defence Accounts, Secunderabad called on Major General N Srinivas Rao, General Office Commanding (GOC), Telangana and Andhra Sub Area (TASA) at HQ TASA in Secunderabad on 11 Jul 2017. Shri Rambabu as the Integrated Financial adviser to TASA discussed with GOC on various financial issues related to TASA. The Secretary (Defence Production), Shri Ashok Kumar Gupta and the Chairman & Managing Director of Hindustan Aeronautics Limited, Shri T. Suvarna Raju at the MoU signing ceremony, in New Delhi .